Dr. David Cain, who is a fruit breeder and former scientist at the UD Department of Agriculture, has a new invention called the Cotton Candy Grape. His main goal is to breed a grape that tastes just like cotton candy, this way he can easily capture consumers. He wants to win over the stomachs and wallets of grocery shoppers. 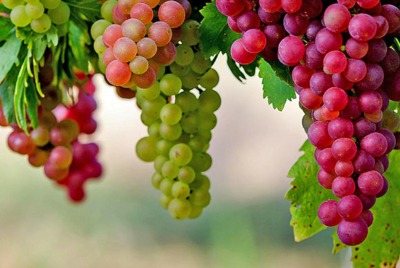 In order to get the grapes sweeter, cross breeding techniques are being used. Specifically, in the case of these grapes, the pollen from a male’s flower is extracted and then brushed onto the female’s clusters of the target plan with precaution. Later, the scientists wait until they are able to replant. The process is then repeated multiple times. Even though certain grapes have been bred to have a higher levels of sugar in them, neurologists are not very concerned or bothered about this experiment. I was very interested while reading this article, I hope that one day these grapes are widely known because it would be like having a candy bar but in reality one is having a healthy snack.